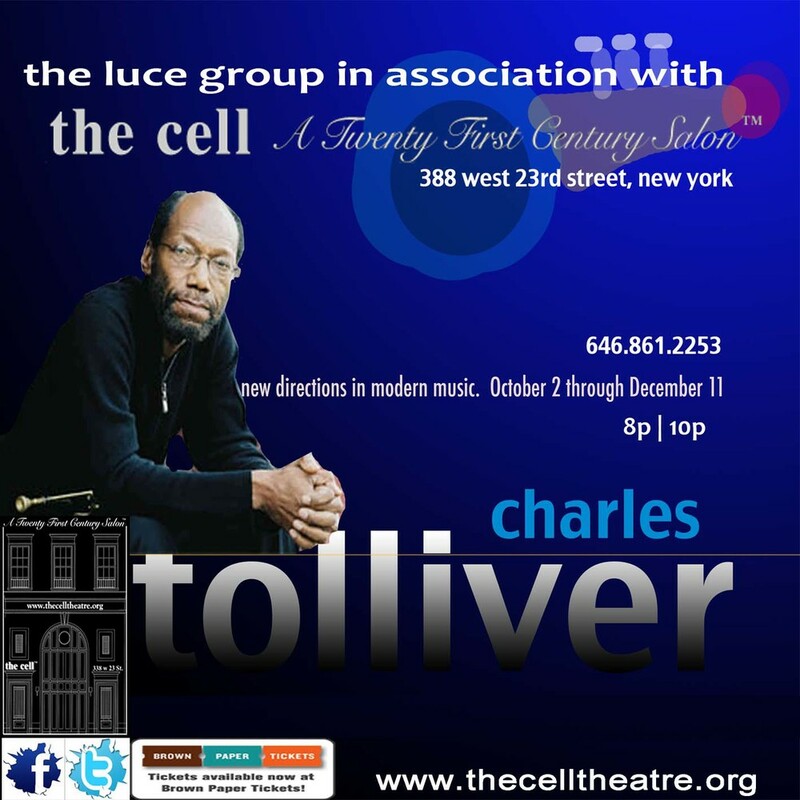 CHARLES TOLLIVER Residency @ the cell. Presenter: Curators Jim and Genevieve Luce in association with the cell, A Twenty First Century Salon™. Jazz legend and Grammy Award Nominee, Charles Tolliver And the Rising Stars explore Jazz new boundaries! The Charles Tolliver Big Band has come to be known for its intricate, layered writing, charging rhythms and exciting soloists. The band's roots trace back to 1970 when Tolliver recorded "Music Inc. & Big Band" for his Strata-East label. He and Stanley Cowell were the composers and principal soloists for this ground-breaking album, which represented the new approach to big band writing since the emergence of the Thad Jones/Mel Lewis Orchestra five years earlier. In recent years, the band has reformed and returned with a vengeance, touring and recording for Blue Note (2007) and Half Note (2009). Its legacy begins with the Rising Stars, a Quintet he selected for his residency @ the cell.